A federal judge will allow Dylann Roof to hire back his lawyers for the guilt phase of his trial, which begins this week in Charleston, South Carolina. 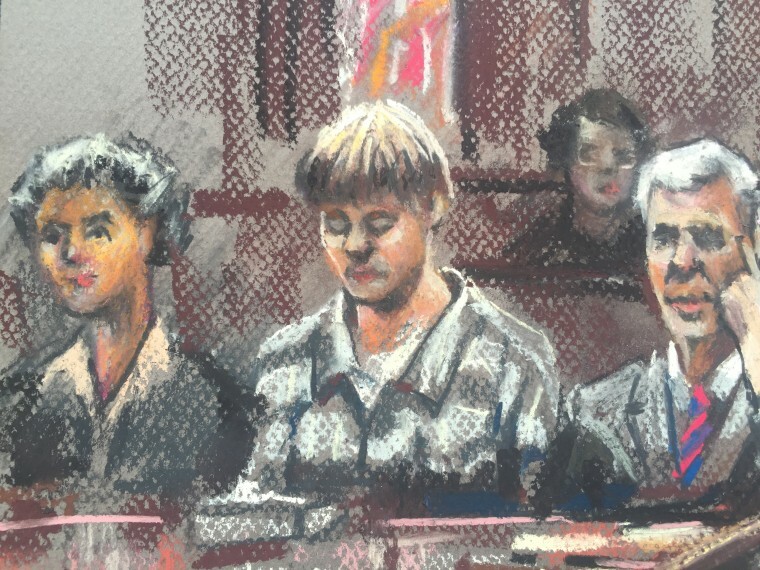 Roof, who is white, is charged with the shooting deaths of nine black parishioners at Emanuel AME Church. He originally was allowed to represent himself at trial, but asked a judge on Sunday if he could have his defense team back, at least temporarily. In a handwritten request, Roof asked U.S. District Judge Richard Gergel to bring his defense team back on board for the guilt phase of his federal death penalty trial. "I would like to ask if my lawyers can represent me for the guilt phase of the trial only," Roof wrote. "Can you let me have them back for the guilt phase, and then let me represent myself for the sentencing phase of the trial? If you would allow that, then that is what I would like to do." Death penalty cases are split into two parts: the guilt phase, and then a separate portion that focuses on whether or not the defendant will be sentenced to death or life in prison. Roof, 22, faces dozens of federal charges, including hate crimes and obstruction of the practice of religion, for the June 2015 slayings at the end of a Bible study at Emanuel AME Church. Police said he hurled racial slurs during the shooting and left three people alive so they could tell the world the killings were because he hated black people. The request comes a week after a federal judge allowed Roof to represent himself, a request that came as court convened last week to begin the process of qualifying a jury pool to hear Roof's case. Gergel, who had found Roof competent to stand trial a week earlier, said Roof had the constitutional right to act as his own attorney, a decision the judge called "very unwise." Roof's former defense team stayed on as his legal advisers but has sought to play a larger role in his defense, expressing concern last week Roof may not present evidence that could sway a jury to spare his life — something that could violate the U.S. Constitution's ban on cruel and unusual punishment. The lawyers said they didn't know why Roof wanted to represent himself but added that other capital defendants have fired their lawyers to avoid having embarrassing evidence revealed, writing that the "22-year-old ninth-grade dropout" might deliberately sabotage his own defense in order to get the death penalty. Opening statements are currently scheduled for Wednesday.